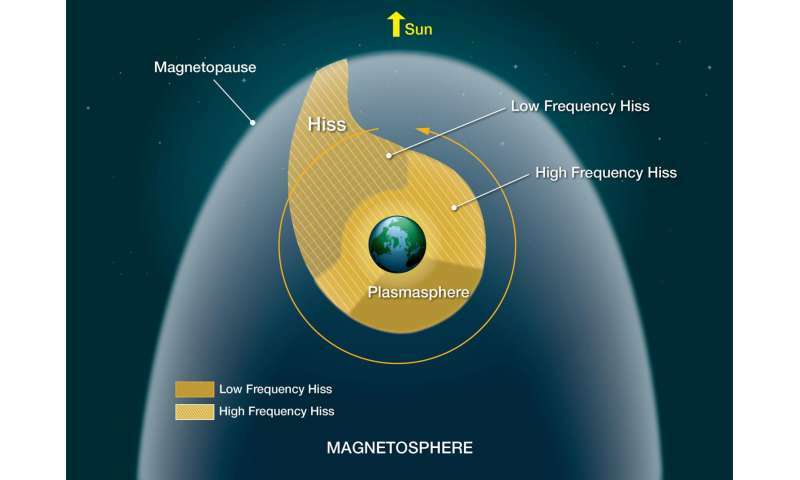 The new study looked at a newly identified population of hiss waves at a lower frequency than usually studied. 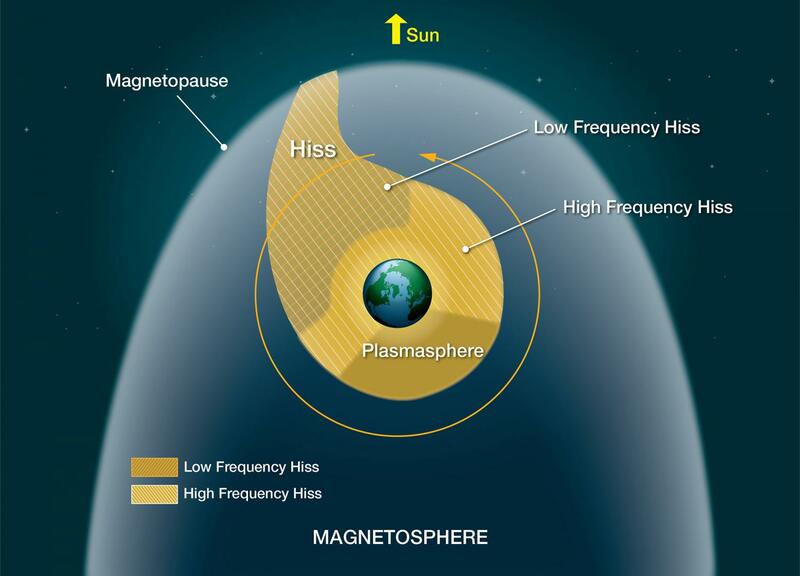 These low-frequency hiss waves are particularly good at cleaning out high-energy particles—those that can cause damage to satellites—from the radiation belts. The authors of the study noticed that low-frequency waves are actually a separate and unique population, tending to cluster in different regions around Earth compared to their high-frequency counterparts. In order to protect satellites, NASA wants to better understand this region of near-Earth space. The space environment surrounding Earth is filled with plasma—clouds of charged particles—whose movement is determined not only by gravity, but also by electromagnetics. Constantly changing electric and magnetic fields rolling through space interact with the particles, creating waves in the plasma (like hiss), which are integral to sculpting the near-Earth space environment.